Believe it or not, Fox viewers and the Fox network itself just can’t get enough of the medical show that is also sort of a mystery/romance and the other medical show that is also a cop show co-created by Ryan Murphy, with both The Resident and 9-1-1 getting picked up for third seasons today. 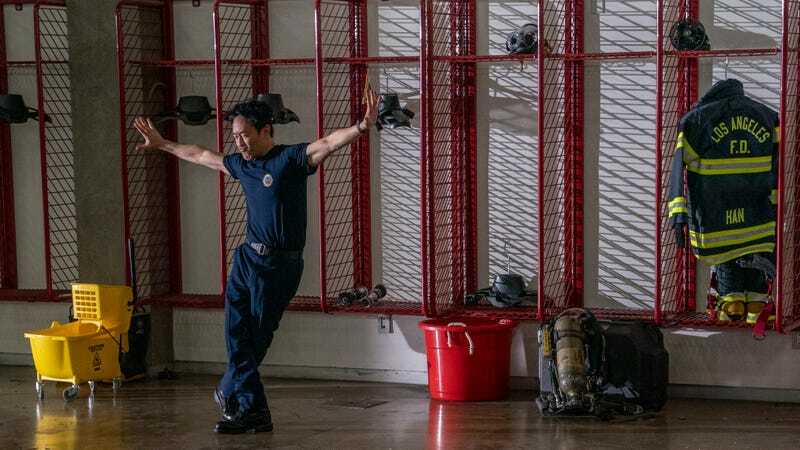 That comes from Variety, which says both shows are going to finish their second seasons with “solid ratings,” with 9-1-1 in particular more or less holding steady with its season one ratings. The Resident has dipped a bit on average, but it’s somehow doing better on “total viewership,” so it sounds like more people are watching it in general but fewer people tune in for every episode. TV ratings are weird and nebulous, that’s not a new thing. 9-1-1 is about first responders in Los Angeles, with the main two played by Peter Krause and Angela Bassett, and we discovered a few months ago that its writers utilize a fascinating technique where they throw in a new emergency if it seems like an episode has gone on too long without an emergency—it’s really wild. The Resident, meanwhile, is a more straightforward show about doctors, with Logan from Gilmore Girls (Matt Czuchry, is apparently his real name) playing the one good doctor trying to fix a corrupt system alongside Manish Dayal and Emily VanCamp.